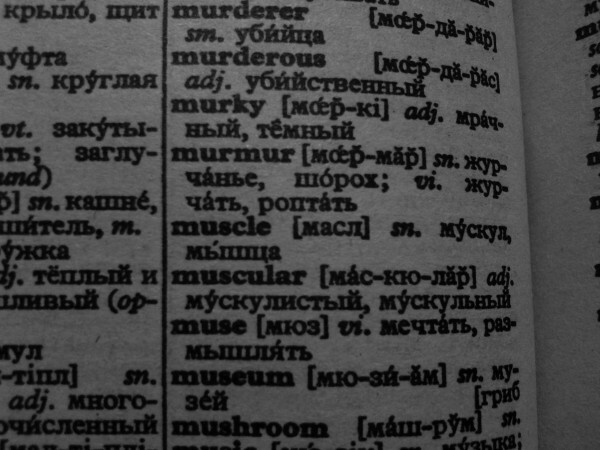 The title likely derives from the fact that the words "muscle" and "museum" come immediately before and after the word "muse" in some dictionaries. The music video is directed by Joseph Kahn and features different people in a suburban neighbourhood, crying in different situations. Joseph Kahn wanted to express the "sadness" of life in the suburbs where every house looks more or less the same. Individual expression is not possible because of the surroundings and the rules in those suburbs and happiness (or pretending to be happy) is mandatory. Though Joseph Kahn himself thinks of the video as one of the best he made, he believes that most people, including Muse, don't like the video. "Muscle Museum" was released on 22 November 1999 on 7" vinyl—backed with "Minimum"—and double CD—backed with "Do We Need This? ", a live acoustic version of the song, "Pink Ego Box" and "Con-Science". It reached #43 in the UK Singles Chart—an improvement of nine positions on "Cave". All tracks written by Matthew Bellamy. A "US Mix" of "Muscle Museum" was released on 9 October 2000 on 7" vinyl—backed with a live version of "Escape"—and double CD—backed with a live version of "Agitated", the 'Timo Maas Sunstroke Remix' of "Sunburn", the 'Saint US Mix' of "Sober" and the 'Soulwax Remix' of the song. It reached number 25 in the UK Singles Chart—eighteen positions higher than its original release. ^ a b "Muse | Full Official Chart History | Official Charts Company". Official Charts. Retrieved 30 June 2016.